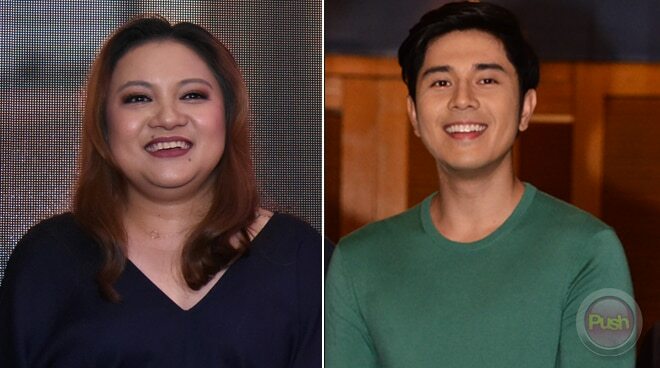 Will the 30-year-old actor be the star of Direk Tonette's upcoming film, 'Fan Girl'? 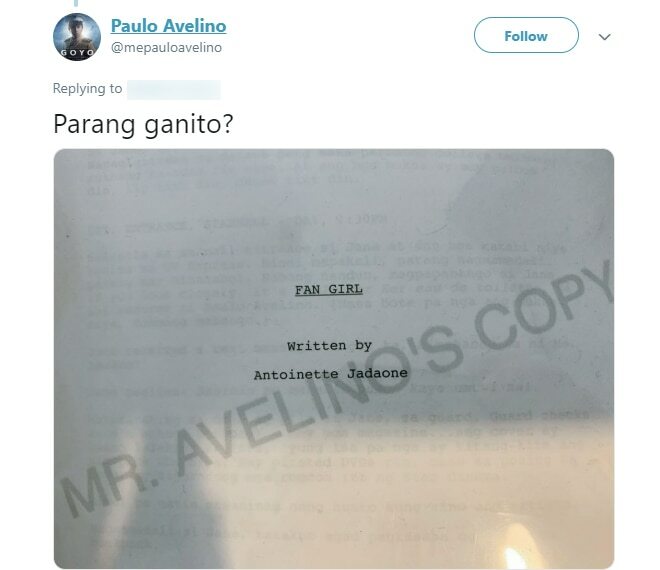 A possible collaboration between Paulo Avelino and filmmaker Antoinette Jadaone is underway - or so it appears in the latest, perhaps most interesting development on the latter's next film project, titled Fan Girl. On Friday, March 22, the 30-year-old actor dropped hints after a follower asked if he is likely to fall in love with a fan on Twitter. "At kung meron, sana [sa akin]," the said netizen wrote. "Parang ganito?," replied Paulo, along with a snapshot of his copy of the script for the said project. The tweet was later retweeted by Direk Tonette herself. 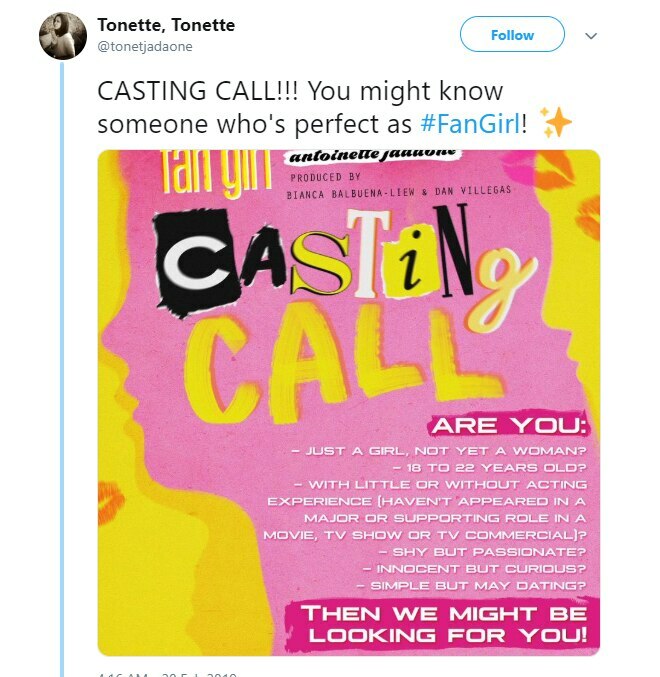 Word about her forthcoming film first got out when Antoinette initiated a casting call for her next leading lady in late of February, in search of women between 18-22 years of age, "with little or without acting experience, shy but passionate, innocent but curious, and simple but may dating." Its official poster revealed that Fan Girl will be produced by film producer Bianca Balbuena-Liew and fellow cinematographer Dan Villegas. Last October, Fan Girl was selected for the 2018 Asian Project Market as the only Filipino film to be part of the Busan International Film Festival (BIFF). The movie tells the story of an "obsessed teenage fan" who finds herself in a mansion with her celebrity idol she thought she knew and "learns exactly why they say never meet your heroes." #FanGirl is postcard-ready for Busan! FAN GIRL is one of the 27 - and the only Filipino - selected projects at the 2018 ASIAN PROJECT MARKET (APM) of the 부산국제영화제 Busan International Film Festival (BIFF)! Produced by @biancabalbuena for Epicmedia and @danvillegas for @proj8corsanjoaquin . Logline: An obsessed teenage fan finds herself inside a mansion with her celebrity idol she thought she knew and learns exactly why they say never meet your heroes. . Thank you @karlfmcastro for our postcard design! And @_badstudent for the awesome riso printing!!! May pa-texture pa! Both Paulo and Antoinette have yet to confirm further details regarding the project.